Helping Companies Reach Their Potential Through MSPM Corporate Training Programs. REC extends CSR support for rs 4.61 crore for providing job oriented skill development training to 2000 no. of beneficiaries belonging to economically weaker section of the society, to be implemented by Maharshi Shikshan Prasarak Mandal, Aurangabad, Maharashtra. REC Limited, A Govt. of India Navratna Enterprise, committed financial assistance under CSR initiative to Maharshi Shikshan Prasarak Mandal for the project, job oriented skill development training to 2000 no. of beneficiaries belonging to economically weaker section of the society in Aurangabad through its CSR arm, REC Foundation. The main objective of the project is to create gainful employment for youth belonging to economically weaker section and to provide an asset to the urban poor in the form of skills for sustainable livelihood. 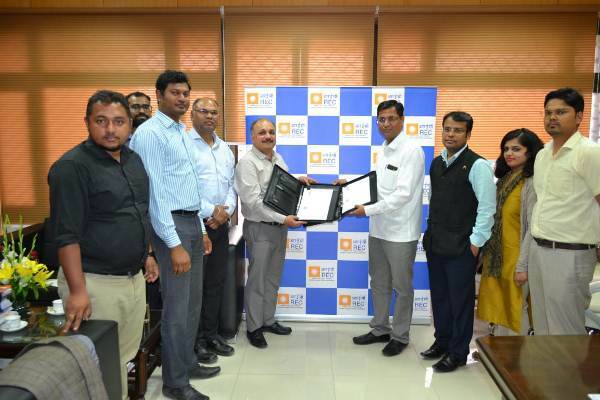 The Memorandum of Agreement (MoA) in this regard was executed between REC Foundation and MSPM in New Delhi on 20.03.2019, Dr. S N Srinivas, CEO, REC Foundation, on behalf of REC Foundation and Shri Shrinivas Kulkarni, Project Coordinator, MSPM signed the MoA in the presence of other senior officials of REC and MSPM.